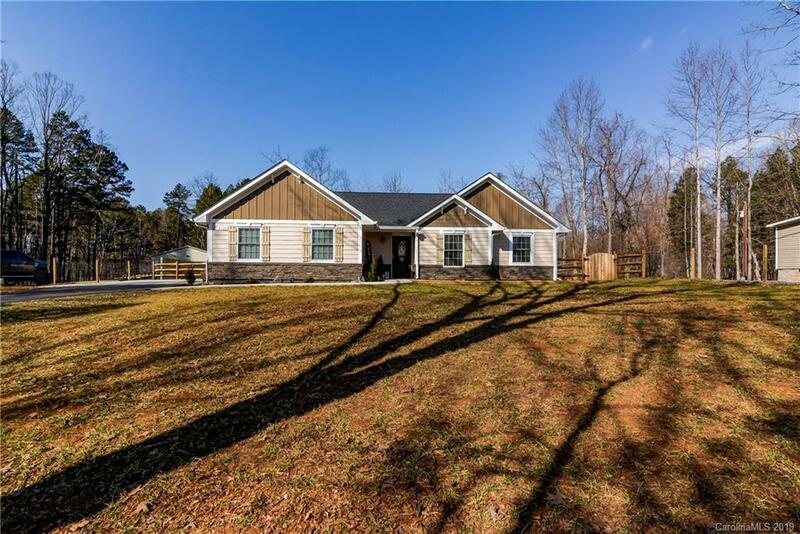 Like-new 3/2 ranch with many updates/improvements. Large custom kitchen with granite and stainless. Vaulted ceilings in the living room. Trey ceiling in the master. Custom vanities and tile floors in the bathrooms. Sliding barnwood door for the master bath. Large fenced yard with extra large slabs in the driveway and patio areas. New storage shed for all your toys. Plus, the community offers access to Lake Norman via its community launch/pier/dock. Just a short drive to the new Publix and future retail in Sherrills Ford on HWY 150. Nearly 1/2 acre lot with no HOA to deal with. This home is polished and move-in ready.